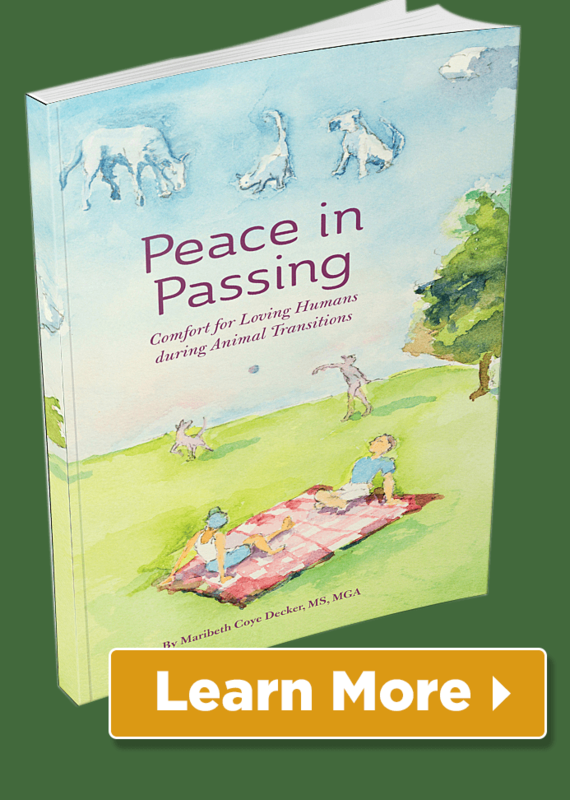 Animals in Our Dreams | Sacred Grove: Intuitive animal communication & energy healing; Alexandria, VA.
Have your animals shown up in your dreams? Mine have! Dreams and animals are two of my favorite topics! I’ve worked on my dreams (called “dreamwork”) since the mid-nineties. 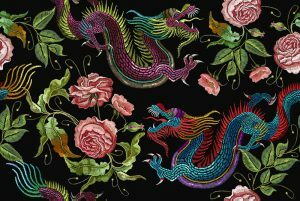 I received a clear dream about a dragon and knew instinctively what the dream meant. It was so insightful and helpful, I figured it was a sign from the Universe! 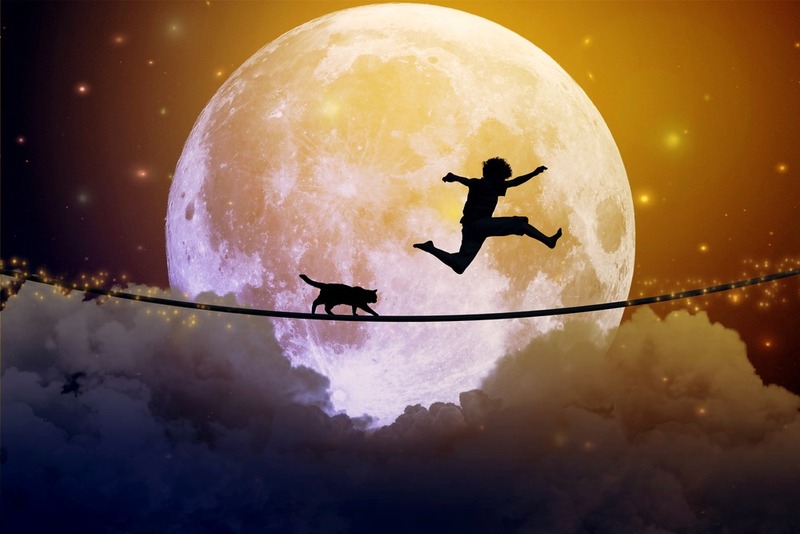 I promptly jumped into the study of dreams and learned all I could so I could reap the benefits of what my dreams wanted to say about my life. Everyone dreams —it’s a physiological fact. But most of us are too busy to remember our dreams. And we’re not taught to pay attention to them— no one tells us how useful they can be. I love dreams because they’re my own personal counselor, they know me intimately and want to help me with my life. Want to know more? 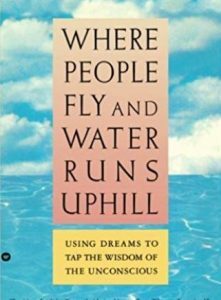 Read Jeremy Taylor’s Where People Fly and Water Runs Uphill. Fantastic book and Jeremy was a fantastic teacher! Dreams speak in a language of symbols, and I had to learn that language. It took time and effort. In my dream, I was in a house in Russia visiting people. Dreams love puns. I played with this a while and figured out I was in a RUSHING house! There were too many things to get done each morning. So I started doing more small tasks the night before. Lo and behold, less yelling! Sometimes my own animals showed up in my in my dreams— and my daydreams. In one dream, my dogs Timmie and Missy were taking more runs and walks with me that they usually did. I already knew how important daily exercise was to my dogs. The dream used Timmie and Missy to symbolize my physical being, my body— its message was MY BODY craved more exercise. Yes, I started exercising more regularly. 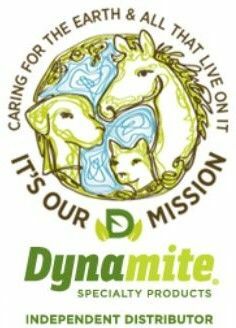 My favorite animal dreams, though, are the “visitation” dreams— the ones when we’re sure the animal is visiting us in dreamtime to connect with us, spend some time with us, and show their love. People visit us in our dreams; why not animals? Almost every time I call my Aunt Norma to see how she’s doing, she just had a dream where my mom or dad visited her in a dream the night before (they’ve both passed on). She does not wish it; my parents have visited. It’s so great to know they’re still connected to us. Many people see in their dreams animals who have passed away. This isn’t “wishful dreaming.” Their animal has taken the time to re-connect and remind them they’re still thinking of them. One of my UConnect students shared her grade school son’s dream with me. They had recently lost one of their chickens to a predator. Everyone was upset about the loss. “I wanted to let you know about Mark’s dream the night I hit a squirrel. He said it was so fun (and I got in trouble at first for waking him out of it). He said he never had a dream so vivid. 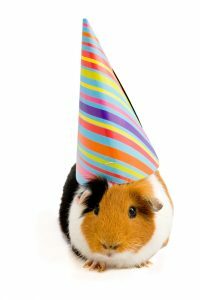 “[The guinea pig] Nibbles was having a birthday party. I asked who was invited. He said humans and animals were there, so many. My friend’s guinea pig, who passed earlier this year, was also there. He also said there were so many chickens, birds, and squirrels. I believe even a possum. His old fish were also there. Isn’t it great that so many of the animals in Mark’s life showed up for Nibbles’ birthday party? Even the fish! This dream feels like a real gathering of beloved souls, a visitation rather than a symbolic dream. “I went to the pet store to buy cat food and came home with a cat.” Okay then. Shadow showed up in my dreams while I was in California and has done it a couple of times since. Picture my dream as if you were watching a live play. All of a sudden, you notice a small black cat walking across the stage. Shadow! She wasn’t part of the dream, she was just curious and wanted to say hi! I fell in love with her before I ever met her in person! Has your animal shown up in your dreams? Would love to hear your story! 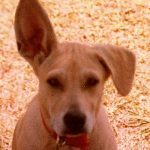 My childhood dog Buffy visits both me and my mom in dreams occasionally. 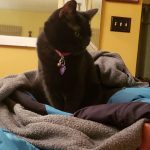 Just comes and sits on the bed – but you can really feel her there! Thanks for sharing this, Lil! I love that Buffy shows her love by showing up in your dreams!